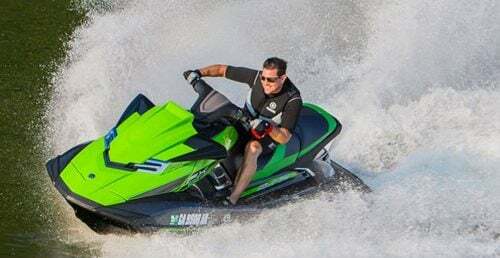 If you are looking for a way to set your Sea-Doo Spark apart from the crowd, check out some of our favorite Sea-Doo Spark accessories. 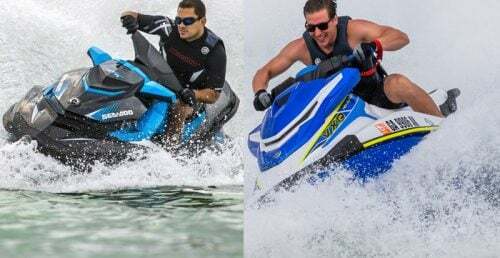 The Sea-Doo Spark is an affordable way to get into the PWC market, but that doesn’t mean you can’t get creative with accessories. 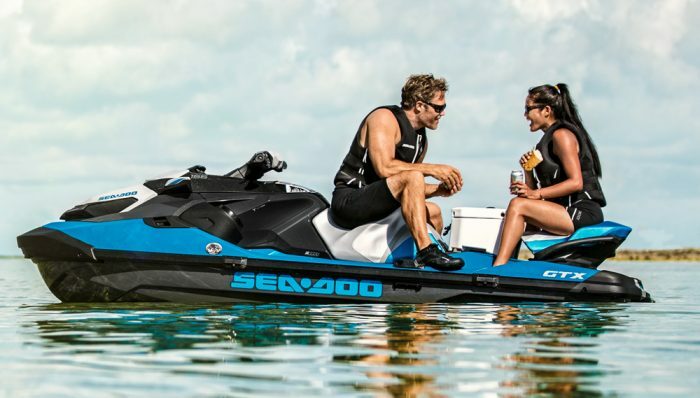 There are a host of Sea-Doo Spark accessories available so that you can set up the Spark to suit your specific wants and needs. Whether you need more storage space or want to turn your Spark into a tow vehicle, there is no shortage of available options. Below are three of our favorite Sea-Doo Spark accessories to help get you started. 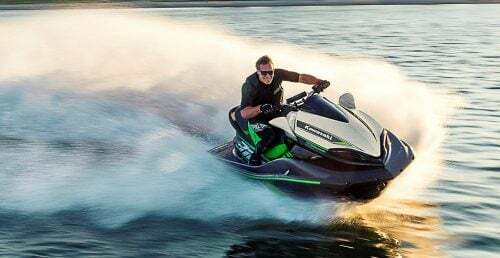 Designed specifically for the Spark, the Chill Shade is one of the most unique looking Sea-Doo Spark accessories we’ve ever seen. 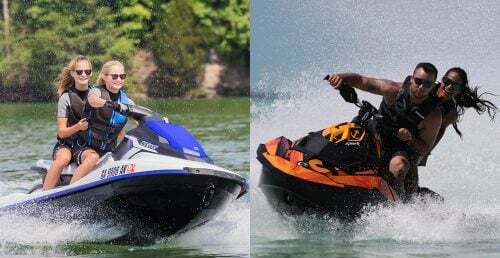 Basically, it’s a Bimini top for a PWC. 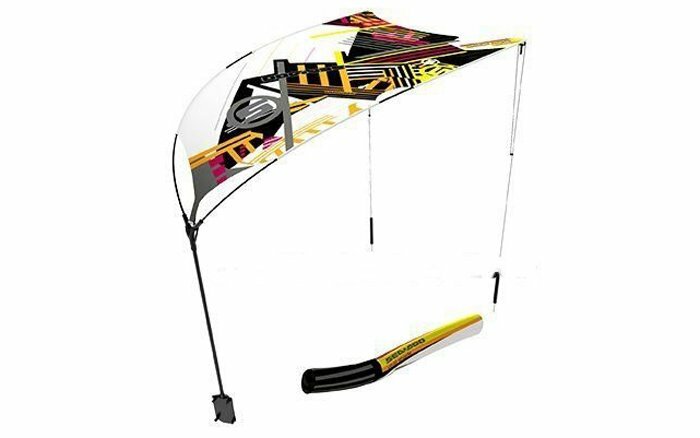 The cool thing about the Chill Shade is you can use it to keep out of the sun even while you are riding, as it can withstand speeds up to 35 mph. As an added bonus, when you just want to lounge on the beach, you can take the Chill Shade off of your Spark and stick it in the sand to provide some relief from the sun – just fill the two storage pouches with sand to act as anchors. The Chill Shade is available for about $130. Learn more here. 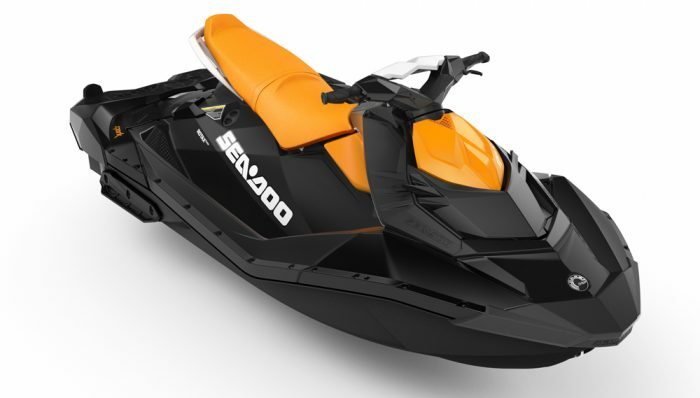 The Spark isn’t exactly rich with storage space, making this Front Storage unit one of the most useful Sea-Doo Spark accessories you can find. 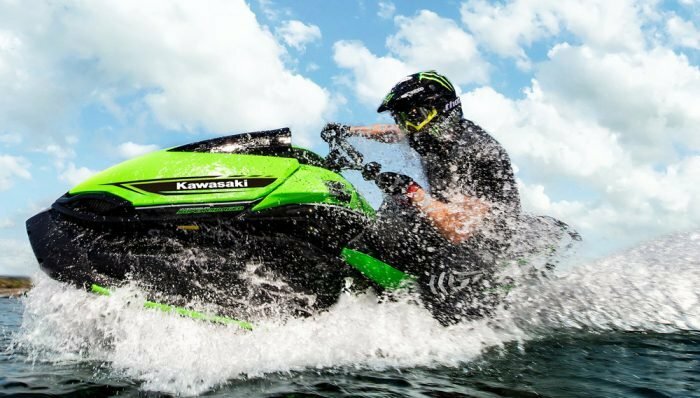 This unit provides 7.4 gallons of additional storage space and its polyurethane construction is designed to protect contests from rough waves. Should you get water inside, drain holes at the bottom will make sure it doesn’t stay in there for long. And to help protect you from the water, it comes with a Front Deflector Lid (part #29510053 if you want to buy this separately). 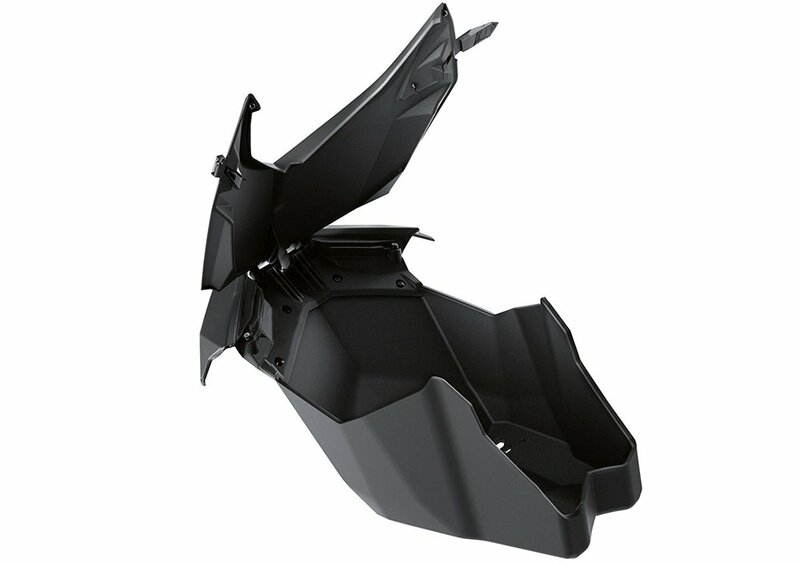 You can pick up the Spark Front Storage accessory for about $150. Learn more here. 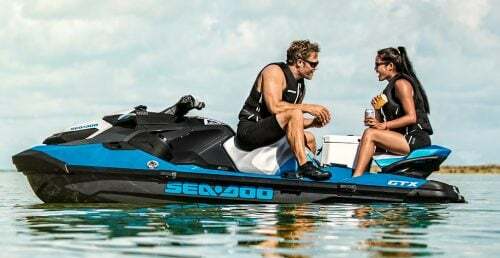 One of the most versatile Sea-Doo Spark accessories is the Tow Pro System, which is available only on the three-up version of the Spark. 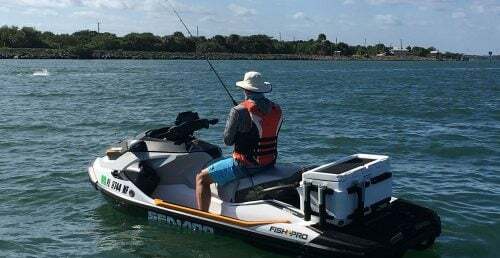 The Tow Pro System has three different uses – a tow pylon, spotter handle and equipment rack. While you can tow without this system, its higher tow point offers a much improved ride. Also, the grab handles give the spotter something to hold on to and feel secure. Finally, a strap offers up a place to stow your tow rope. 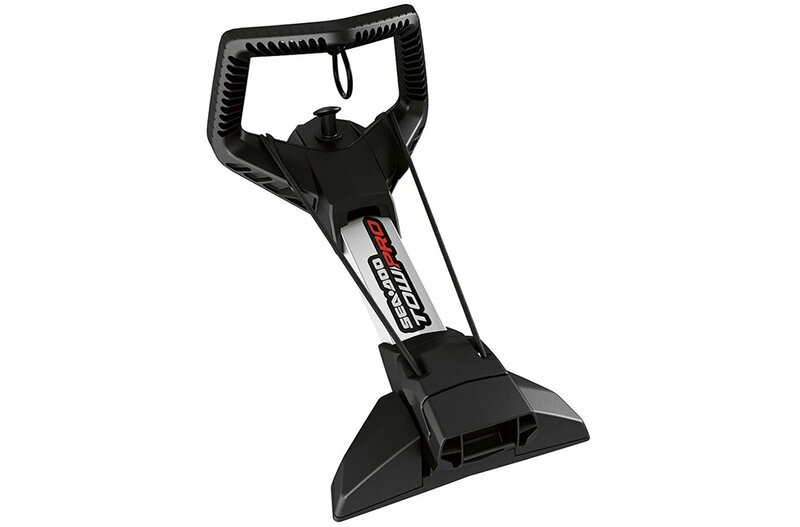 The Spark Tow Pro System retails for about $340. Learn more here.